Grow with us! Learn why we're a better choice. Do you want to be a part of a company that is making an impact? Cooper Pest Solutions is focused on building a team of dedicated and talented employees, by offering a flexible work environment, opportunities to grow with a fast growing company. A company that gives back to New Jersey and Pennsylvania communities. We are the BOMA New Jersey winner of the Heart Award Recognizing Excellence in Community Service for 2016. Led by the Smart CEO’s 2016 Corner Stone Award Finalist, Phil Cooper. We are the Best of Bucks county and Yardley PA for 2016. If you can help us make an impact in the community, at work, and in the future of Cooper Pest, Apply Now. Does your current position include? 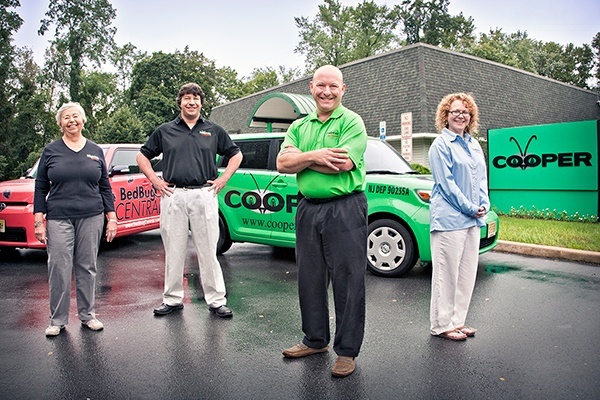 "Cooper Pest Solutions is an amazing company to work for because of how much they truly care about their employees. From the first day I stepped foot into the building I was made to feel welcomed and comfortable. Every day I am recognized for my skillset and pushed to become even better. Whether dealing with employee’s or customers Cooper holds itself to the highest standard of honesty and integrity, and I couldn’t ask for anything better." 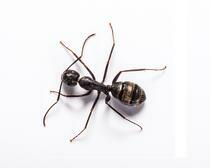 "Cooper Pest Solutions is a great company that has direction and vision. I truly enjoy coming to work every day because of the fun, family based atmosphere which provides ongoing education for career advancement. Cooper Pest is always about exceeding expectations – whether it be for our clients, community, service partners or team mates. As a Business Development Representative who manages his own business and marketing strategy, I am provided with the freedom to create new business opportunities for myself and my company. At Cooper, we all work and play hard! "Cooper Pest Solutions is a great place to work because Phil keeps us in a motivating environment with the Cooper Mission “WHAT + HOW = WOW”. The company is fully committed to offering the highest level of service to our clients. Also the company focuses on and rewards employees for their contributions and achievements. We are recognized for the value we bring to the company and are given opportunities to learn additional skills. WOW...Cooper is a great place to work!" "Cooper Pest Solutions is a great place to work because Phil plays Santa at Christmas and I get to watch everyone sit on his lap and tell him if they were good this year. No really this is why it’s great-- we have the best employees, we are all like one big family and I love the environment. Cooper is always challenging me to become a better manager and person with the ongoing education they provide and they are there for us on a personal level. Plus I just love my job"